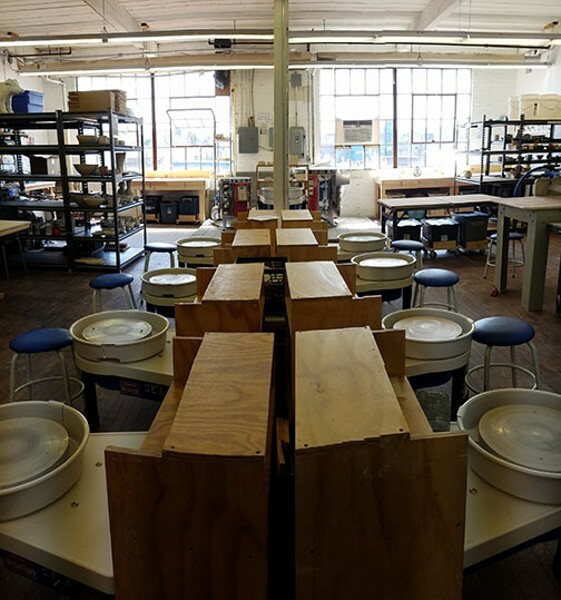 We offer ongoing weekly ceramics classes to adults at all levels of instruction. Each class consists of group demonstrations and individual attention so that every student can work toward their own goals at their own level and pace. Basic skills include wedging, throwing, trimming, handbuilding, adding handles, stamping, carving, and glazing. Intermediate students learn to throw larger, more complex vessels, advanced trimming and decorating techniques such as slip inlay, image transfers and various resists.